Isolation: A month down the line. Well, it’s official. I now have spend 4 weeks locked up in almost complete isolation from the world. The only contact I have had is a day and a half break and could actually talk to people. But as things go, you get used to the silence and not talking. Communicating after being locked away after an extended and intense period of time, is something that takes (strangely enough) some getting used to. 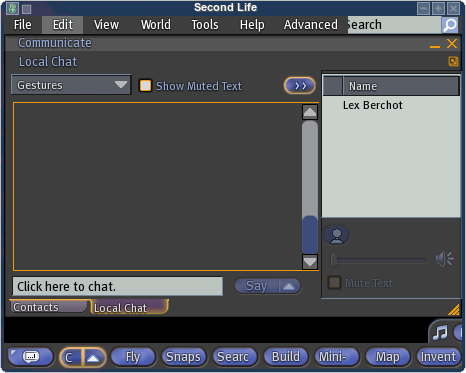 I assume you can’t really call it talking, I can just about see who is in chat range thanks to the nick list. But that is about it. And I can’t hear. So all I really can is say hi to people, and then hear Mistress tell them that I can’t hear their return greeting. For quite a while I was trying to keep up and interact. And, well I don’t know, I guess it all of a sudden hit me how really futile it was. I think for the first time it really hit me about being isolated from the rest of the world. I think that is part of why it hasn’t affected me so much yet. I have not only been out of touch, but also out of sight and away from everyone else. That perhaps may have helped it make it easier to deal with. I don’t know.m I spend the rest of the night pretty much just listening to Mistress talking to other people and trying to piece together from half conversations what she was really talking about. So for now I have finished one month of being locked up. Something I never thought I could do. A total of about 150 hours in inworld time. How much longer? I have no idea. Guess time and in particular, Mistress will tell :).